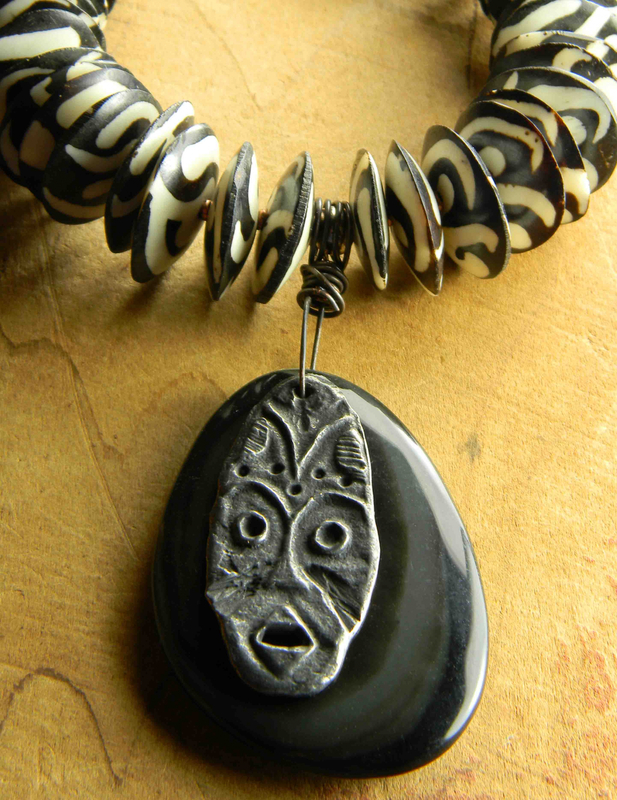 Tribal statement necklace, featuring an artisan pewter African style mask pendant over a freeform flattened oval of obsidian. 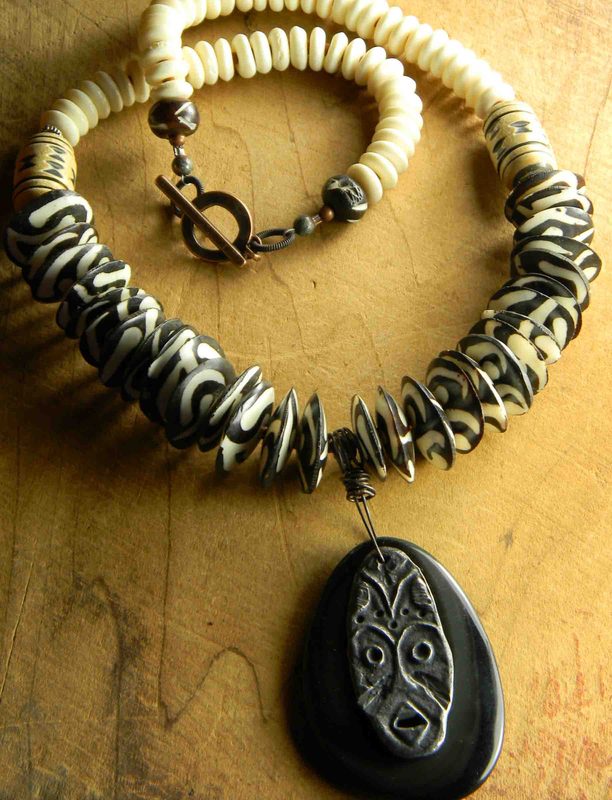 Very dramatic Batik bone discs form the forward portion of the design and really set off the tribal pendant. 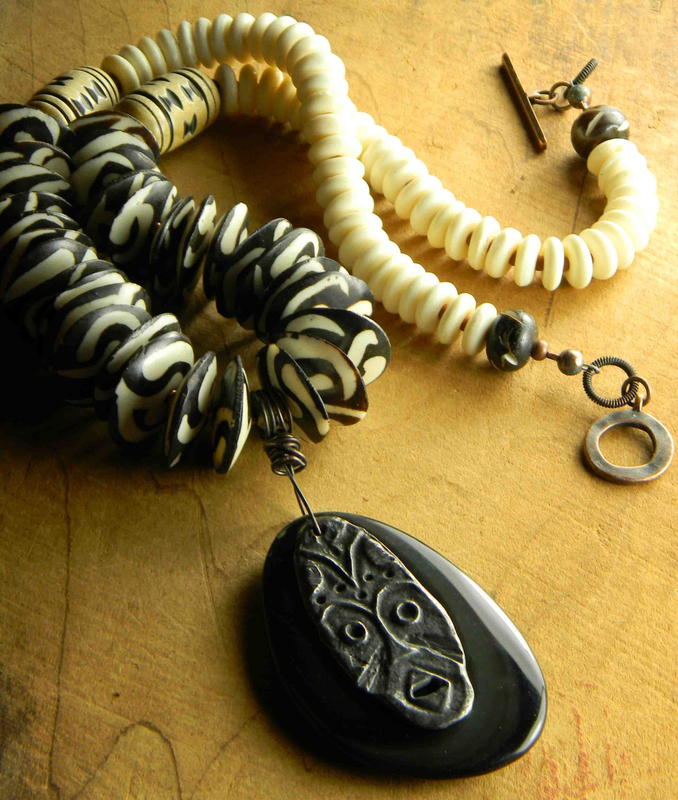 Between each of the Batik beads is a tiny copper spacer, adding a bit of contrast, leading to ethnic carved bone barrel shapes and white bone rondelles in the back portion of the piece. 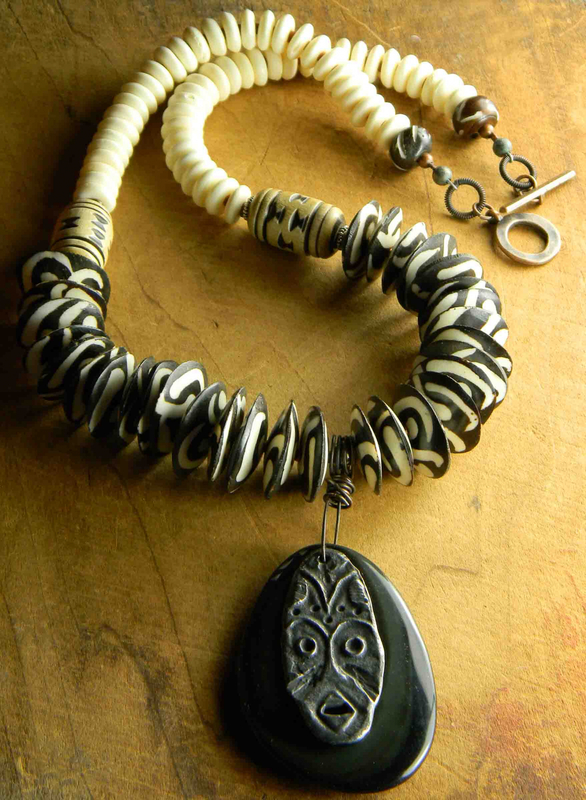 More brown/black carved bone beads on either end with patinated copper rounds, rings, and an antiqued copper toggle clasp. The necklace length is 22 inches, plus a 3 inch pendant drop. Artisan aged pewter mask pendant by Inviciti Jewelry.